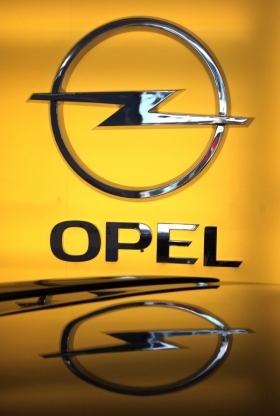 FRANKFURT -- Opel avoided conflict with the unions on its board, preferring to return to the negotiating table rather than ram through thousands of job cuts in Germany and the UK. Under pressure from parent General Motors Co. to put an end to years of heavy losses, a meeting of Opel's 20-member supervisory board at its headquarters in Ruesselsheim, near Frankfurt, on Wednesday lasted most of the day only to adjourn without reaching any firm decision over painful restructuring measures. Instead, Opel emphasized that there had been consensus over the importance of a lasting turnaround for GM's European operations. "All participants remain in agreement that Opel must operate profitably, and take measures to increase revenue, widen margins and reduce costs," the company said in a joint statement by GM, Opel's management and its board, adding talks would continue. Company sources had said prior to the meeting that it was not clear whether management would go ahead with submitting a mid-term business plan that includes plant closures, or focus on less sensitive issues such as appointing a new sales chief. According to one person who attended, Opel CEO Karl-Friedrich Stracke had not provided any specifics regarding potential plant closures and gave only a "very rough plan that needs a lot of work" over the next few months. Opel's top labor leader, Wolfgang Schaefer-Klug, argued in an internal corporate newsletter that morale in the workforce was very poor and the capacity to shoulder further cuts in wages and benefits to help lower fixed costs was nearing an end. "People are disappointed that the agreements reached with management no longer appear to have any value today. The willingness for further sacrifice is about as low as one can imagine," he told the Opel Post published on Wednesday. As part of the last round of restructuring agreed in 2010, employees committed themselves to cutting labor costs by 265 million euros ($352 million) annually over the next five years -- including 177 million from its German workers alone. Opel personnel chief Holger Kimmes shot back in the same newsletter, warning that the 20,000-odd German employees had not fully contributed their agreed share for the past two years even though management lived up to its side of the bargain. GM CEO Dan Akerson and Opel Chairman Steve Girsky have been pushing Opel CEO Stracke hard to lower the company's breakeven point by shifting production from high-wage countries in western Europe to emerging markets. Though Opel has said no plants will be closed before the end of 2014, most expect the 50-year-old factory at Bochum in western Germany will be earmarked for closure, along with one at Ellesmere Port, the company's only remaining car plant in the United Kingdom, where the brand is known as Vauxhall. "We're not going to start trembling with fear just because everyone is saying Bochum will be closed. We would almost be insulted if they didn't threaten us," said one source close to the plant's labor leader. "GM won't announce any plant closure today, anyway, since they'd be crazy to give up their trump card. The moment they say which plants are safe, they can no longer play them off against each other in the hopes of extracting concessions," he added. Economic weakness has hit car sales in Europe, forcing automakers to confront high fixed costs and a capacity overhang in the sector that GM's Akerson says equates to up to 10 plants. Opel's own Antwerp plant, Fiat's woefully uneconomical Sicilian plant, and the Trollhattan factory of insolvent carmaker Saab, were shut down in the past two years, and Mitsubishi is ending car production in its Netherlands facility by year-end. But Europe still has around 240 plants in 27 countries and political resistance to plant closures has been strong. In the United States, Detroit's big three automakers -- GM, Ford and Chrysler, now partnered with Fiat -- closed 13 plants between 2008 and 2012. Opel dealers such as Stefan Quary said the amount of time he spends trying to assuage the fears of fleet customers in particular showed the uncertainty was harmful for business and needed to be addressed quickly. "When you approach a customer with a leasing deal where we offer to take the vehicle back after three years and replace it with a new one, they ask whether Opel will still be around by then, since they fear being stuck with depreciating assets on their books," said Quary, who is managing director of Braunschweig-based multibrand car retailer Duerkop. Quary said GM has little choice but to better align its production base with its market share. Meanwhile, Opel's European unions hope to gain support from United Auto Workers boss Bob King joining the Opel supervisory board, since he enjoys strong ties to Chairman Steve Girsky and has praised Germany's tradition of labor management in the past. King attended Wednesday's meeting ahead of his official start in June but declined to comment on the outcome when contacted by Reuters. He is trying to marshal support among German workers to help UAW gain traction among the U.S. plants of Volkswagen and Mercedes-Benz. The stakes are high for Opel workers in Germany and the UK. The works council in Bochum, where the Opel plant employs about 3,100 workers, said closure would cost 45,000 jobs in total when related services companies and suppliers are included. "Opel Bochum's employees are rightly asking themselves, 'What happens after 2014?' Plant closures have not been taken off the negotiating table, just the opposite," a statement from the plant's works council said on Tuesday. The Ellesmere Port site employs about 2,100 plus 700 contractors. Auto analysts expect a wave of plant closures across the continent at other beleaguered carmakers, such as PSA/Peugeot Citroen, Renault and Fiat.